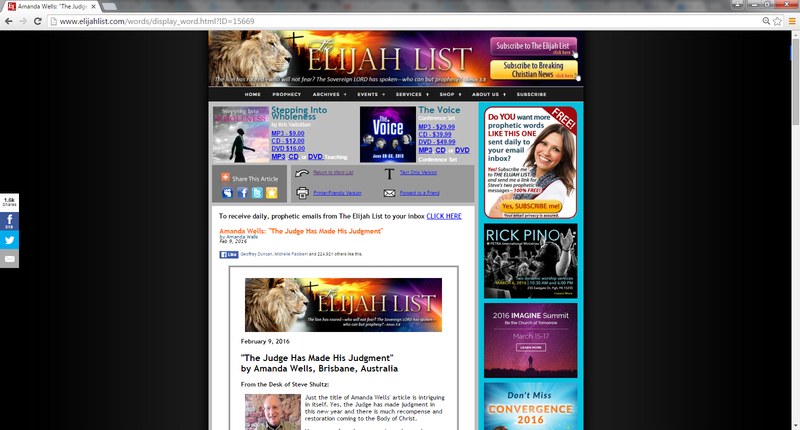 Recently, Amanda Wells got another one of her “prophecies” on Steve Shultz’ Elijah List. The problem? 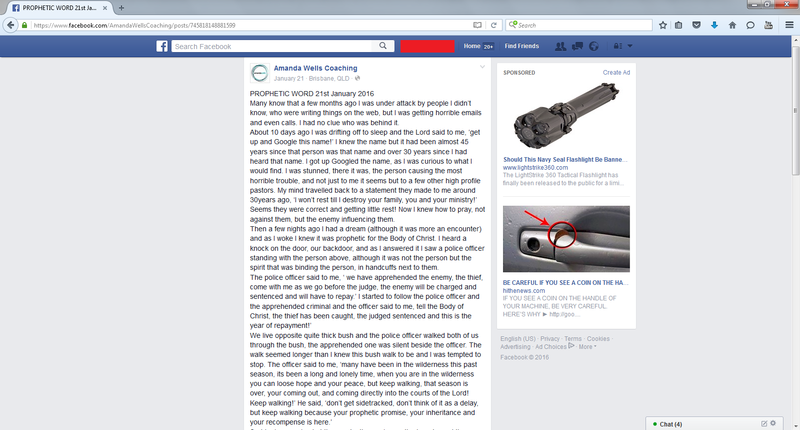 “Prophet” Amanda Wells changed her prophecy thus making her “prophetic” encounter “for the Body of Christ” false. 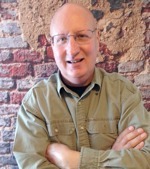 Steve Shultz should know better than to promote Amanda Wells as a prophet at all, considering he was shamed as a false prophet for not knowing of her theft of other people’s work in our “Elijah List Guess Who? Challenge: Culprit in the Pulpit”. Amanda Wells: Culprit in the Pulpit winner for plagiarising countless people’s work for material gain. Her unedited FaceBook prophecy had God reveal to her through word of knowledge who ChurchWatcher supposedly was. A few days later, she claimed that she saw in her prophetic encounter, a policeman standing with the person, ChurchWatcher. In her retelling of the prophecy on Elijah List, she failed to provide the context of this prophecy in connection with the word of knowledge she received from “God” and did not tell her audience that she saw her critic churchwatcher in this encounter. Wing-gnat Wells strikes again with her outrageous prophetic tampering. 2. In her original FaceBook prophecy Amanda claims God revealed to her who ChurchWatcher is to her by name and appearance. First she claims God gave her our name, (so she googled it). Secondly she claimed when she had the dream encounter she saw us: “and as I answered it I saw a police officer standing with the person above”. Now this information has been erased from the prophecy on the Elijah List. However, this information is important because she doesn’t separate this revelation knowledge from the dream-like prophecy for the body of Christ. How can you trust someone who deletes information from their prophetic encounters/words? 3. In her original FaceBook prophecy we are a part of Amanda’s prophecy for the Body of Christ. In her revised prophecy on the Elijah List, the emphasis is not there. So which prophecy should you trust? Her Facebook prophecy or the Elijah List prophecy? 4. Our involvement in the prophecy at all will expose Amanda Wells for her false prophecy. But we are still here Amanda. God has not taken “this prisoner away” (whatever this is) and you have not told us Amanda that we “must pay sevenfold recompense to the plaintiff”. You claim that we “the thief” have “been caught” by God himself, have “been tried and now [we] must pay back recompense”. If this is the year this all happens, we’ll wait and watch. If nothing happens – then you are a false prophet Amanda. These are your words. Not ours. Not God’s. 5. We don’t know who or what is actually handcuffed and sentenced in the Elijah List prophecy. Once she removes us – can you explain to us how this scene works? What is handcuffed and what is the “person” doing? 6. We have no idea why God sentenced the person to jail. Who did God send to jail? Did he sentence the person to jail? Or the spirit possessing the person to jail? By the way it reads, Amanda is suggesting that the person is going to jail since she uses a scripture that talks about the physical penalty of a physical person on earth (Proverbs 6:31). However, if that is true, then God judged falsely! Amanda stated that it was the spirit that was cuffed and stated he has “apprehended the enemy, the thief” and that the “enemy will be charged and sentenced and will have to repay”. So why did God judge and sentence the person but not the handcuffed “spirit that was binding the person”? The Jesus of Amanda gave evidence against the wrong “person” and God was dumb enough to believe Amanda’s Jesus and sent the wrong “person” away for punishment! What an immoral trinity! And this immoral godhead is all public on the Elijah List! God is a God of justice – not of illegal activity. You’d think God would know his own justice system! Many know that a few months ago I was under attack by people I didn’t know, who were writing things on the web, but I was getting horrible emails and even calls. I had no clue who was behind it. About 10 days ago I was drifting off to sleep and the Lord said to me, ‘get up and Google this name!’ I knew the name but it had been almost 45 years since that person was that name and over 30 years since I had heard that name. I got up Googled the name, as I was curious to what I would find. I was stunned, there it was, the person causing the most horrible trouble, and not just to me it seems but to a few other high profile pastors. My mind travelled back to a statement they made to me around 30years ago, ‘I won’t rest till I destroy your family, you and your ministry!’ Seems they were correct and getting little rest! Now I knew how to pray, not against them, but the enemy influencing them. Then a few nights ago I had a dream (although it was more an encounter) and as I woke I knew it was prophetic for the Body of Christ. I heard a knock on the door, our backdoor, and as I answered it I saw a police officer standing with the person above, although it was not the person but the spirit that was binding the person, in handcuffs next to them. I then awoke and the first words that came to me were ‘Yet if he is caught, he must pay sevenfold, though it costs him all the wealth of his house.’ Proverbs 6:31. The reason it is sevenfold is because seven is the Hebrew letter zayin and one of its meanings is ‘returning light’. It also means a sword that fights for food. It is the letter for completeness and blessing. What was taken in darkness will be returned in light and the sword; the weapon in your hand will bring you food in this season. Get ready for restoration is coming completely and with great blessing!!! Just the title of Amanda Wells’ article is intriguing in itself. Yes, the Judge has made judgment in this new year and there is much recompense and restoration coming to the Body of Christ. Amanda Wells is a prophetic teacher and revivalist. Amanda lives in Brisbane, Australia, with her husband Roger. She is ordained in Glory City Church, Brisbane. After an encounter with Heaven that totally transformed her while on the operating table for transplant surgery, Amanda is passionate for every Believer to encounter and engage Heaven and the supernatural and to fulfill their destiny here on Earth. As an International speaker for 25 years in 63 nations she has spoken on many platforms, has written five books, and is an active member of the Australian Prophetic Council. As well as ministry, she is heavily involved in the marketplace and has her own company as a prophetic business coach to businesses and companies around the globe. Source: Steve Schultz, “The Judge Has Made His Judgment” by Amanda Wells, Brisbane, Australia, Elijah List, http://www.elijahlist.com/words/display_word.html?ID=15669, Published 09/02/2016. Church Watch Central has done an exceptional expose on the international prophetic fraud, Amanda Wells. 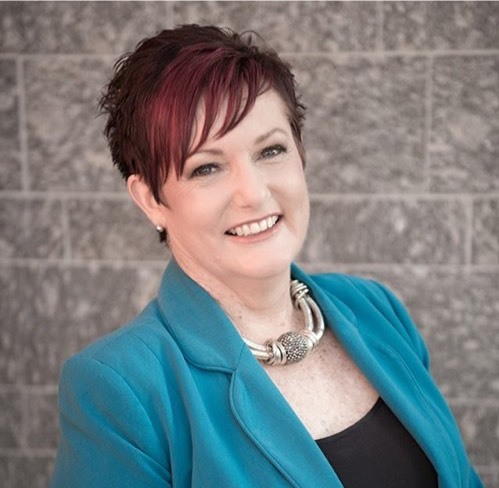 Katherine Ruonala is her Senior Pastor at Glory City Church in Queensland, Australia. If you feel lead, please write to Glory City Church and ask them to deal with their rogue pastor.